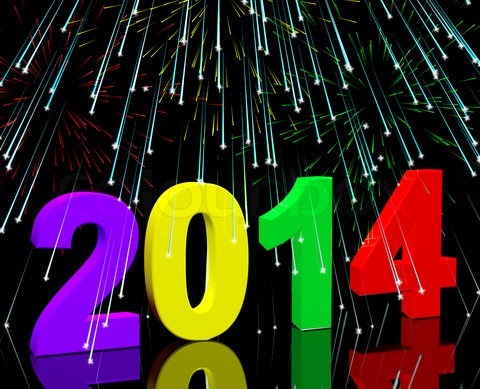 The Plant-Based Pharmacist's Blog: Bring On 2014! As we review how we can minimize our tax obligations, let’s not forget to take to the time to review how we can maximize our health. Although doing both can be a painful process, both need to be done. While we presently plan for financial wellness in the future, presently planning for our physical wellness in the future is even more critical. After all, a comfortable retirement is not very comfortable when it is plagued with health problems. Do you know our health habits of today have an overwhelming impact on the state of our future well being? Chronic diseases such as high blood pressure, heart disease, overweight, type 2 diabetes, and high cholesterol don’t happen overnight – they have a tendency to creep up on us. These conditions are most often are a result of a lifetime of our habits. So ask yourself these questions. What did I do in 2013 to maximize good health? What more can I do in 2014? What are my strengths? What do I need to do for improvement, and how do I get there? Just as with our taxes, we need to create our road map for 2014 now. Take an inventory of what you are (or are not) doing on a daily basis. Below are some thoughts to get started in 2014 for better health today and in the future. How many times a week do you eat fast food? Do these meals include fried foods and soft drinks? There are many restaurants that offer tasty, healthier meals at a reasonable price. Take a pass on the fried foods and soft drinks. Instead try a burrito without the calorie-laden toppings like sour cream and cheese. Adding salsa will give the burrito great flavor and you will be making a healthier choice without making a big sacrifice. Loading up on the greens, beans, and veggies at a salad bar is very satisfying. These foods have lots of fiber and will fill you up without filling you out. Are you drinking enough water? Sometimes being hungry is confused with being thirsty. Be sure to drink plenty of water. Are you getting enough exercise? Finding the time can be difficult. So grab a co-worker and go for a brisk walk during your lunch hour or break. Studies have found taking two 10 minute walks a day provide the same health benefits as one 20 minute walk. When was the last time you ate broccoli, sweet potatoes, pineapple or had an avocado? Be adventurous! Make it a point to bring these vegetables and fruits back into your diet. Build the courage to venture into “unknown territory,” and try new vegetables and fruits in 2014. Don’t cheat yourself out of investing in your health. You will be doing your arteries, waistline, and your family a favor. It is the best investment you can make for yourself now and for your future! Jody Perrecone is a corporate manager for the Complete Health Improvement Project (CHIP). CHIP is an international wellness program focusing on lifestyle interventions to create a healthier workforce and reduce overall healthcare costs. Jody works with hospitals, corporations, and communities to offer CHIP programs throughout the U.S.